A reader asks: "If you were no longer Broke Girl, but were Quite-Well-To-Do Girl, how much of your broke lifestyle advice would you still follow? I have become so, well, let's call it thrifty, I think it's in my blood and would never change." Short Answer: I estimate I would follow 85 percent of it. Thrift is a virtue, the quality of using resources carefully (a vital attribute in a world of limited resources). It's not even a distant cousin to cheap, which is about miserliness and inferior quality. So should you become Quite-Well-To-Do Reader, I hope you would remain thrifty. "Oh no, " replied Tammy, a very health-conscious mom, MBA, and former banker who homeschools her small brood. She and her husband own a nice but not extravagant suburban Chicago home and summer house in Michigan. Tammy started going to Aldi eight years ago after she learned that the wife of the very successful surgeon who had operated on her young son always shopped there. 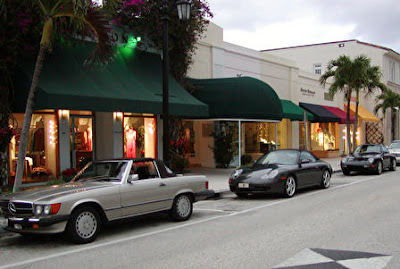 Once, when visiting a friend in West Palm Beach, we drove her aging Gremlin to Worth Avenue to window shop. Bonnie's husband had jiggered the broken air conditioner switch so she could operate it with a coat hanger that protruded from the dashboard. We rattled up to the curb where model-gorgeous Bonnie, her baby and I climbed out of the car. To me it seemed an odd sight—a head-turning beauty juxtaposed against that bad car. But she did not seem to notice. Bonnie sewed everything that she, the baby and her next four children wore. (Not a homeschool mom, for the record.) With no pattern to follow, Bonnie could whip up a couture-like dinner dress or little sailor suit for the baby in one evening. She had an excellent eye for fabric, drape and fit. Bonnie was crazy about her husband who was dirt poor compared to the rich Palm Beach boy she used to date. I asked, "If you had married the other guy, would you still sew your own clothes?" Her answer surprised me. "Oh yes! I would never pay those prices, besides, I like mine better." I just wanted to say that I really enjoy your blog and your thoughtful perspectives on money and thrift. I wanted to let you know that I linked to this post over at my blog today. Thanks! Rich—And You Didn't Even Know It!